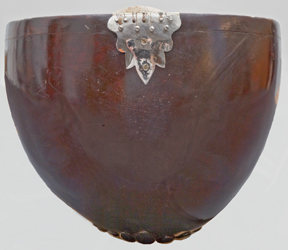 NMM 2405. 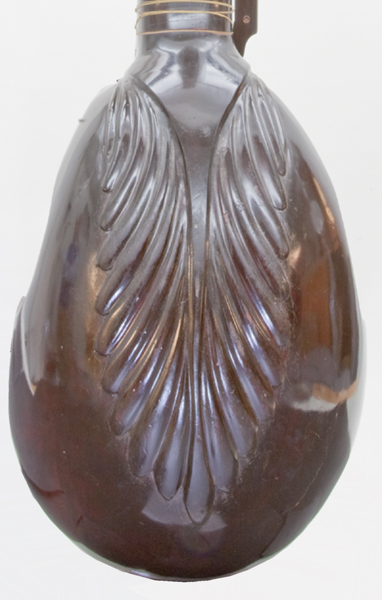 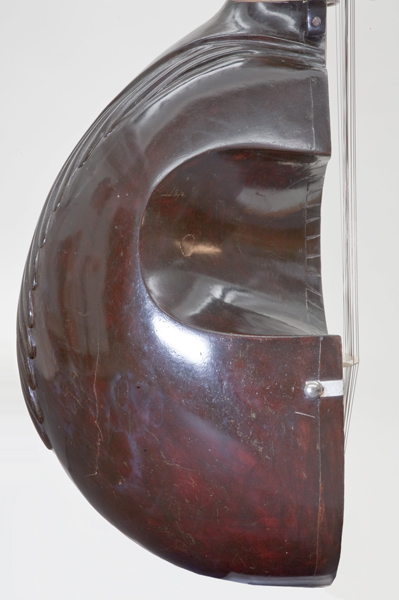 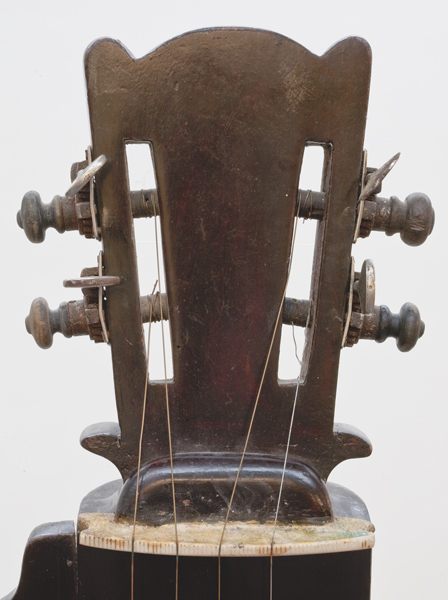 Long-necked lute (mandar bahar) by H. Muntz, Bengal, India, 20th century. 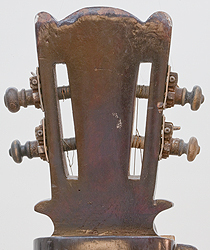 Essentially a bass esraj, but played in a standing position, similar to the Western double-bass. 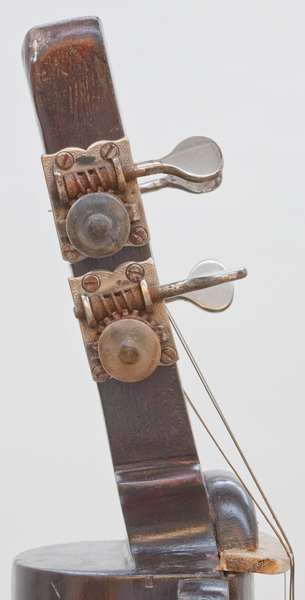 Used in modern Indian orchestras. 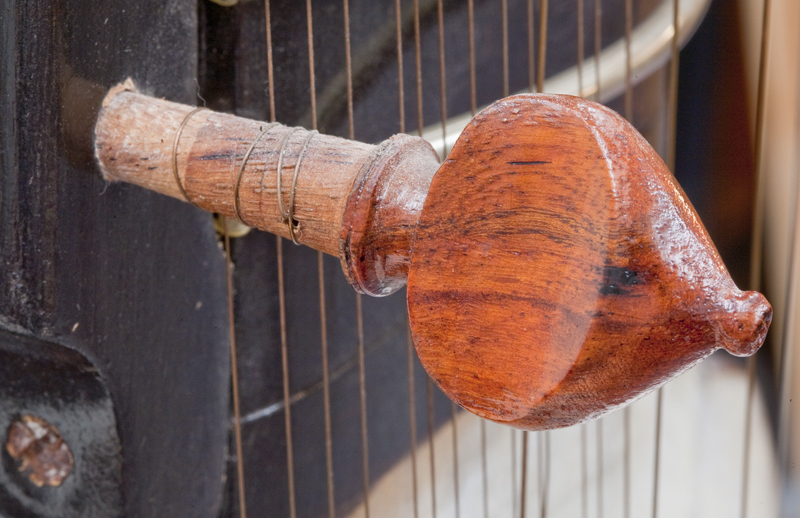 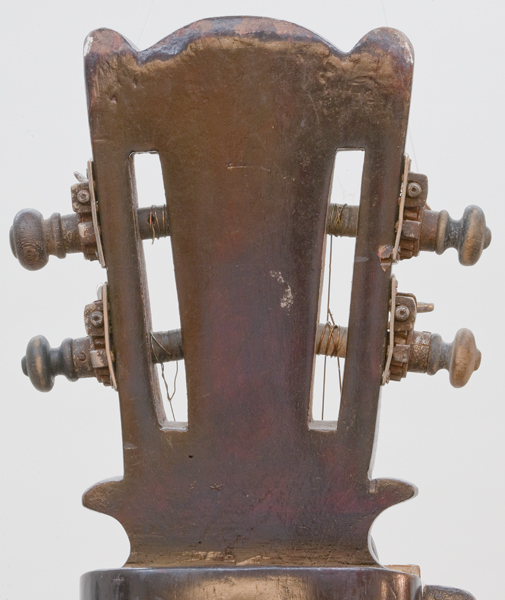 Wood body with a parchment belly, seventeen movable frets, four principal strings (one for melody and three for drone), and fifteen brass sympathetic strings. Board of Trustees, 1978. 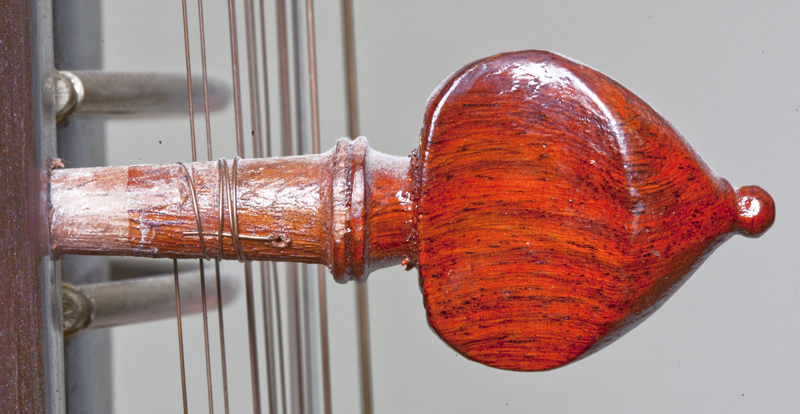 Literature: Thomas E. Cross, Instruments of Burma, India, Nepal, Thailand and Tibet, The Shrine to Music Museum Catalog of the Collections, Vol. II, André P. Larson, editor (Vermillion: The Shrine to Music Museum, 1982), p. 13.